Steve here! 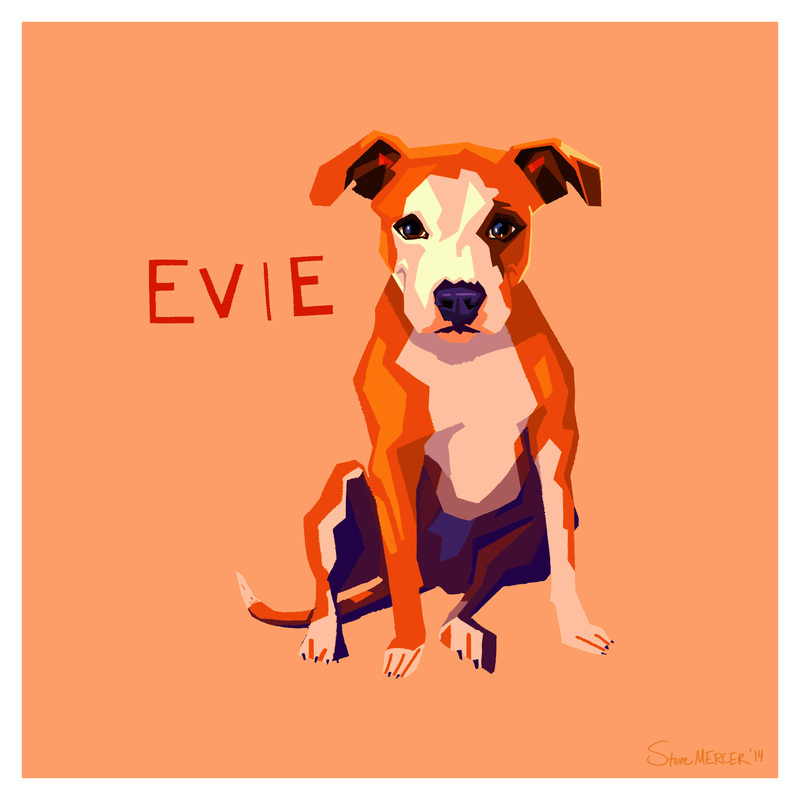 This one is for @erinbrookeb a painting of her dog daughter Evie! Here is the story she included: "My whole life, animals have been my love, yet the only pets I have had were cats. Evie found us in 2012 via a request from someone to help her find a new home, we weren't thinking about getting a dog, but the photo of this 11 month pup just did something to me... my boyfriend and I went to meet her and the smile she gave the minute we walked in the door, then falling asleep from a belly rub from my boyfriend... it wasn't long before we realized she chose us! Since we adopted her, we have within our doggie community, discovered not only her birth past of being born in the Anne Arundel County SPCA after her mom was rescued from an anti-pit bull county... we have not only met her birth mom but the majority of her 8 siblings that were also adopted and still live nearby! Our little girl will be three this August and life with her the past two years has been then best - we cant remember life without her!! !She is our baby, our fur child and of course our princess!!"